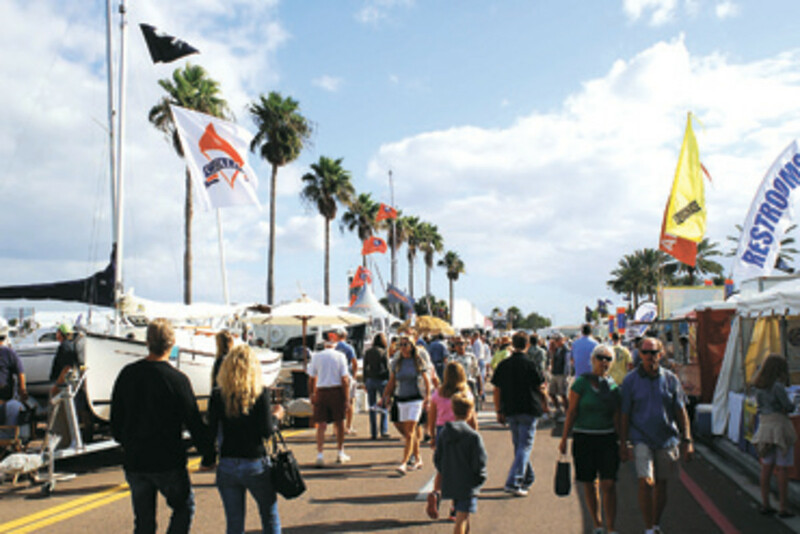 Boat companies and dealers were busy closing deals and hosting sea trials for potential buyers in December after the St. Petersburg Power & Sailboat Show. Everglades Boats of Edgewater, Fla., for instance, sold a 243 center console with a second helm station. “One hundred thousand dollars — paid for and done — and we have a good amount of leads which we feel positive about,” says Everglades regional sales representative Greg Allen. Hacker-Craft was hashing out the final details on the sale of a 26-foot gasoline inboard runabout — its Sterling model, says Ken Rawley, director of sales and marketing for the Silver Bay, N.Y., builder of classic mahogany runabouts. The show, in its 35th year, was held Nov. 29 to Dec. 2 at the Progress Energy Center for the Arts Mahaffey Theater Yacht Basin and Albert Whitted Park. Attendance increased by 5.2 percent, compared with last year’s show, according to Ricardo Strul, vice president and chief financial officer of Show Management, the company that owns, manages and produces the show. Exhibitor participation rose to more than 250 — a 10 percent increase from 2011. The overall number of new and brokerage boats also was up — 153 this year, compared with 135 last year. The increase mostly was attributable to an increase in sailboats, Strul says. Last year there were 24 sailing vessels, and this year there were 41. The show drew just about every major boat brand: Azimut, Hatteras, Tiara, Viking, Beneteau, Catalina, Regal, Sea Ray, Boston Whaler, Grady-White and Carver. But it wasn’t just the big names at the show. Smaller companies such as Statement Marine (a luxury center console builder), Ranger Tugs, Carolina Cat, Comitti (an Italian builder of luxury mahogany runabouts) and Retro Marine Cape Island Trawlers were well represented. Showgoers got a chance to see innovative boat designs, such as Sea Ray’s new 370 Venture express cruiser with hidden outboards, and joystick helm control systems such as the new Three60 Precision Control System from Caterpillar and Yacht Controller’s wireless remote helm control. 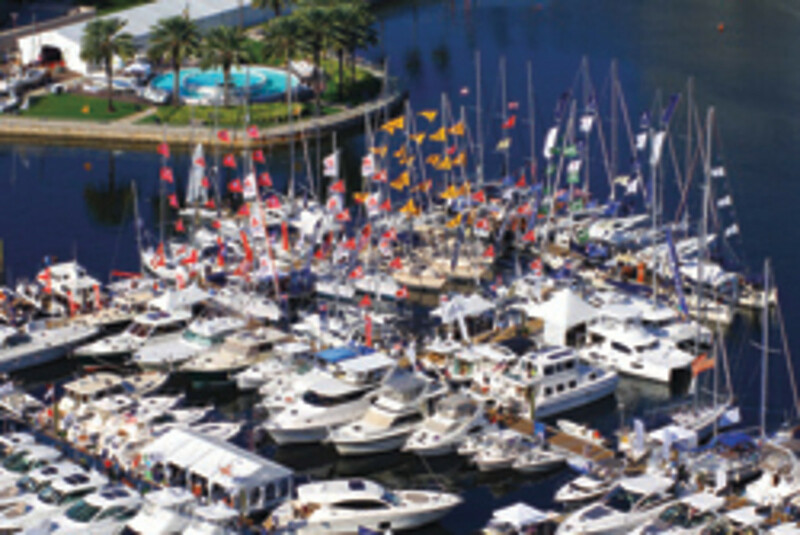 Dealers included Denison Yacht Sales, HMY Yacht Sales, Quality Boats, Sunray Marine and MarineMax. Nearby construction work has been finished, allowing the waterfront and city attractions to shine, Sheer says. “The powerboating market seems to be gaining some momentum and there was a good crowd and the seminars went well,” he says. MarineMax in Clearwater, Fla., met with some success, says sales manager Colin Heimensen. Galati Yachts, dealer for a half-dozen boat companies, including Tiara, Cruisers, Viking and Grand Banks, also reported good news. Galati also operates offices in other parts of Florida as well as in Texas and Alabama. “More than anything else the show gave us an opportunity to come back and continue to work with customers with immediate interest in a boat,” Plymale says. Galati has been a fixture at the show for many years, but new faces came to St. Petersburg, as well.